Andrew Wiiliams. Mavis and Syd's boy. Hasn't he done well? Booming business, lovely wife, beautiful kids, bloody great house. What more could he possibly want? And then an old photo turns up and Andrew's world is turned upside down. 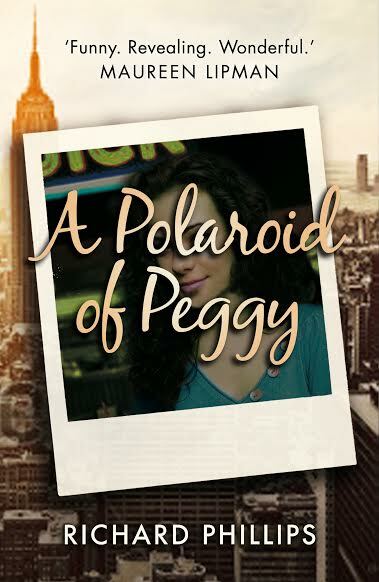 A story of lost love and lost bearings, 'A Polaroid of Peggy' is 'Bonfire of the Vanities' meets 'Love Story' with a dash of 'Mad Men' thrown in. Funny and poignany by turns, it asks the the most fundamental of questions: what really matters in life? And finds the ansewer is distinctly muddled. Hi Richard! Can you tell us a little about your latest book? My latest book is my first book! Well, the first one published anyway. It’s the story of a lost love - a what might have been story. It’s also a mid (to late) life crisis story about a man who seems to have it all until the discovery of an old photo undermines everything. It takes places in New York in 1979, London in 1999 and then in the present day. Carol Birch, author of Booker Prize Shortlisted 2012 Novel, ‘Jamrach’s Menagerie’ said, ‘ Richard Phillips has a gift for that great combination of humour and sadness that works so well." I had the basic dea many years ago but I always saw it as a film script. (It is based on one true moment in my life – whenI met a girl in a lift in New York. But the story is complete fiction.) Then one day I just sat down and wrote it as a novel. No idea what brought the urge on. As the whole idea, and the title, is about an old photo, that had to be the basis of the cover. And the New York background fits the story. Good question. Well, the main character – although not me – has certain similarities. I have often been told that I remind people of Jeff Goldblum. Not so much because of looks as his manner – and particularly the character he played in The Big Chill, which isn’t entirely flattering. So maybe him if he could do an English accent and had his head shaved – as I do! Rosamund Pilcher for the wife perhaps, and Julia Louis-Dreyfus for the lost love. Right now it’s on its own, but I might try another with the same main character. Maybe a prequel set in the sixties. I am sucker for a love story. 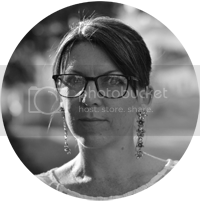 I’ve always been a writer – though mainly a copywriter in advertising. My claim to ad fame is that I wrote the BT ‘ology’ campaign with Maureen Lipman – if anyone remembers it. Names are a huge part of the story. Not giving anything more away. You’ll have to read it to find out why. Didn’t struggle with this one – but I came up with it after I had written the book. Master Pip by Lloyd Jones, An Equal Music by Vikram Seth, Jamrach’s Menagerie by Carol Birch ( and not just because she’s said nice things about my book), Middlesex by Jeffrey Euginedes. Blonde by Joyce Carol Oates. Fingersmith by Sarah Waters, Headlong by Michael Frayn, the entire Aubrey/Maturin series by Patrick O’Brien – and amongst the classics, I am a big Dickens fan, whom I only really discovered when I was writing my book. Truthfully, it’s the need to avoid boredom. Starbucks in Queens Park, NW London. Sounds corny but I like having people around me when I write even though I am totally lost in my own world. Think I’ve covered this but if I had to pick two writers whose name would always persuade me to buy a new book: Michael Frayn and Joyce Carol Oates. I used to host a radio show – unpaid! And I loved it. Hoping to do it again. George Clooney. Why not aim high? I have astroturf in my garden. Second, I’m toying with a number of ideas for a second novel. One of these days, I might stop toying and get on with it. Being on Desert Island Discs. Fat chance. That Jeremy Corbyn would make a good prime minister. An adult. But I honestly don’t think I’ve succeeded.